On 12-13 February 2014 eight staff from the Scottish Parliament Information Centre (SPICe) visited colleagues at the National Assembly for Wales. SPICe is the Scottish Parliament’s library, research and information service. SPICe’s information professionals and subject specialist researchers provide an impartial and confidential enquiry and briefing service to all Members of the Scottish Parliament (MSPs) and their staff, both in Holyrood and local offices. SPICe subject specialists in the areas of Rural affairs, Health, Transport and Planning, Europe and Finance followed an excellent programme for put together by Nia Seaton from the National Assembly’s research service. The aim of the visit was to compare practices and share ideas. 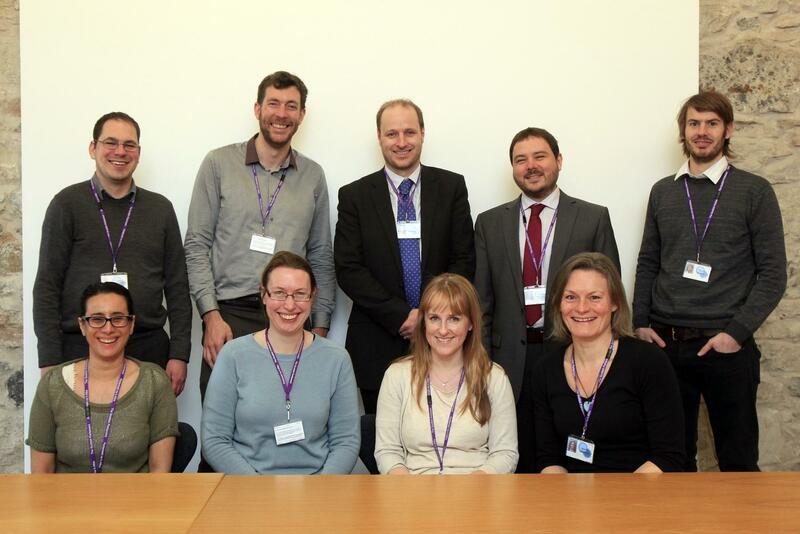 SPICe research specialists met with counterparts in the Welsh Assembly. Some joint work between SPICE and WA researchers has already taken place, for example a co-authored briefing “Comparison of the Planning Systems in the Four UK Countries” published in June 2013 and a joint briefing on “CAP Reform 2014–20” published in November 2014. The teams discussed subject responsibilities, recent and forthcoming work, and the possibility of further joint briefings. SPICe also toured the library, met with clerking colleagues, attended a briefing from the legal service for Assembly staff, toured the Assembly buildings, sat in on a Committee meeting and Health questions in plenary. One of the most interesting aspects of the visit was learning about the working of the Welsh Assembly committees. The WA committees have regular support from the clerking team and the research service (in a similar fashion to the Scottish Parliament committees), but has additional support from a dedicated lawyer and the outreach team. The support of the outreach team provides opportunities for innovative engagement of “hard to reach” groups of stakeholders that might not respond to traditional calls for written evidence. The outreach team have gathered evidence for the WA committees through methods such as focus group sessions, video interviews and questionnaires. These methods of engagement allow individuals to be involved in the political process and participate in a way which they may not have done otherwise. The SPICe team were also impressed by the CPD (Continued Professional Development) programme available (and clearly taken up by) Members. This program aims to support the vision for world class parliamentary committees by supporting AMs in their role on committees. It includes courses on effective questioning, scrutiny of legislation, and financial scrutiny. The visit provided an opportunity to put faces to names. SPICe came away with some excellent examples of good practice, and in true Six Nations tradition look forward to a “return fixture” and welcoming colleagues to Holyrood in the near future!